A 100% natural sweat intensifier. 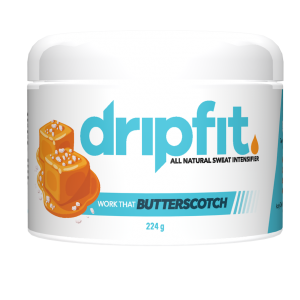 Drip Fit® is a 100% natural sweat intensifier. Through increased blood flow and circulation, whatever areas you rub on this topical cream, you will feel the warmth and an increase in perspiration (if used prior to exercising). Plus, this incredible cream has 1,001 benefits to your skin! Ingredients in Drip Fit® are proven to help with stretch marks, scarring, acne, anti-aging, dry skin, dark bags under the eyes, collagen production and much more. 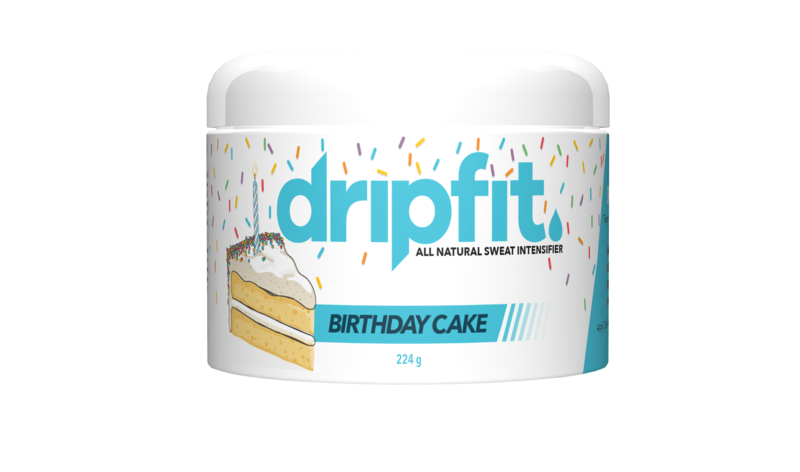 It’s our 2nd birthday and there is NO BETTER way to celebrate then with Drip Fit Birthday Cake. Thank you for loving us and being a part of our Sweaty Squad! Remember even though it smells like DELICIOUS CAKE BATTER… we highly suggest to refrain from eating it! What makes Drip Fit different from other topical products on the market? 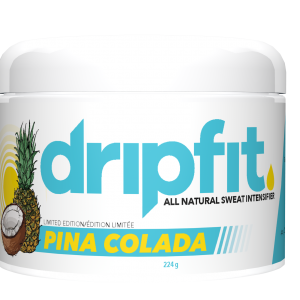 Drip Fit is made of 100% all natural, medicinal ingredients, including coconut oil and magnesium. Drip Fit has NO PRESERVATIVES, NO COLOURING or ARTIFICIAL FRAGRANCE! Drip Fits ingredients all have a purpose. Drip Fit is anti bacterial so is actually beneficial for people who suffer from skin conditions, including acne. Drip Fit is backed by science and consists of the highest quality Pharmaceutical Grade ingredients. Where can I use Drip Fit? Drip Fit can be used anytime, anywhere! Use it on your body, face, hands or feet to help reduce muscle soreness, decrease the look of lines and wrinkles, decrease the visibility of scars and stretch marks, and increase circulation. Drip Fit makes a huge difference in reducing the black bags under the eyes too! How do I store my Drip Fit? Drip Fit should be stored at room temperature. Prolonged exposure to heat will cause the product to liquefy. Should this happen, return to a cool environment until the product has resumed its original consistency. My Drip Fit developed these funny little bits in it - what do I do? 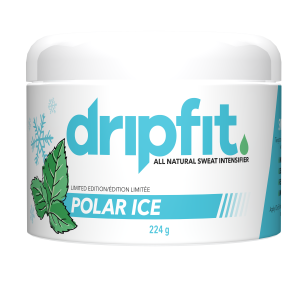 Those funny little bits that you may start to see in your Drip Fit are crystals, formed from Drip Fit’s active ingredient – magnesium. These crystals are the main source of Drip Fit’s benefits and will absorb almost immediately into your body. Magnesium helps to improve circulation and blood flow, provide a calming affect to help relieve stress and is very important for protein and carbohydrate metabolism. To address the crystallization of the product, allow the crystals melt in your hands before applying to the body. Be sure to rub these in generously – especially to areas with sore, tired muscles. My Drip Fit has solidified - what do I do? Drip fit has NO preservatives or fillers. This means it will change physical form with weather, heat, and cold. To improve the application of Drip Fit, simply heat it for 10-15 seconds to allow the product to soften. If the product becomes overheated, refrigerate until it cools to its original consistency. Drip Fit will also naturally melt with your body heat. This sent is over powering at all! It just gets you wishing you had some real cake haha! Absolutely amazing and so happy with how sweaty my workouts get! Love how sweaty my workouts get and how smooth my skin feel.ls.